Santa Barbara, CA, March 21, 2018 – With heavy rains expected for the next few days, local authorities have issued a mandatory evacuation order within Santa Barbara County, in anticipation of mudslides and flash floods. The area, still reeling from damage caused by the wildfires and mudslides of the last few months, is especially vulnerable to the incoming storm. Evacuees have begun to head to the American Red Cross shelter in Santa Barbara, where The Salvation Army Santa Barbara Corps is beginning to provide food services in this early stage. 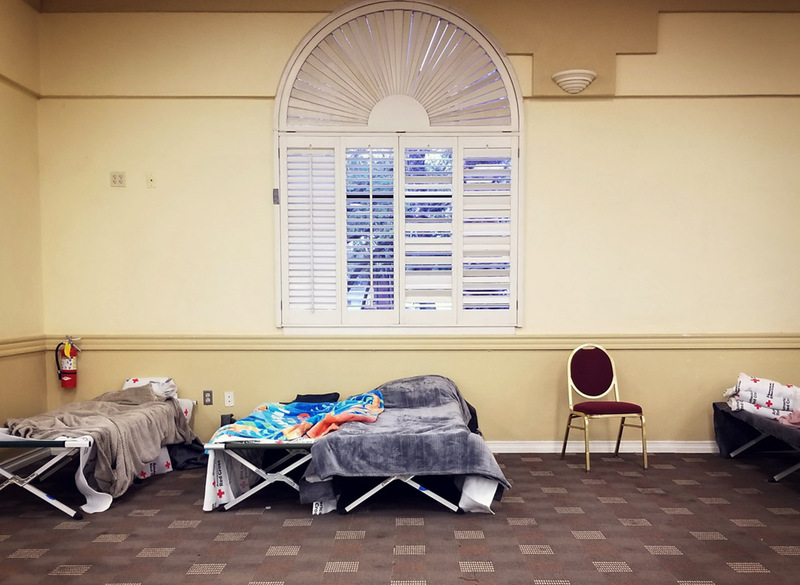 On Tuesday night, approximately 32 people stayed overnight at the Santa Barbara evacuation shelter at Earl Warren Showgrounds (3400 Calle Real, Santa Barbara, CA 93105). On Wednesday, as rains poured across the city, 40 to 50 individuals were served by The Salvation Army for lunch & dinner. In addition to meals and snacks, The Salvation Army Officers are also providing spiritual ministry and comfort to those in need. Many of the evacuees found themselves in familiar territory as a natural disaster once again threatened their homes and stability. The recent history of the area looms large as responders and evacuees alike wait and see what the worst of the rains will bring by Friday. The Salvation Army Santa Barbara Corps is scheduled to continue providing meals in Santa Barbara on Thursday, and will be monitoring the situation as it evolves.